Seems like everyone’s starting their own podcast these days. So how do YOU stand out in a sea of podcasts? Hint: It’s NOT about the microphone. There is NO one-size-fits-all tutorial that is sufficient. So let me help. 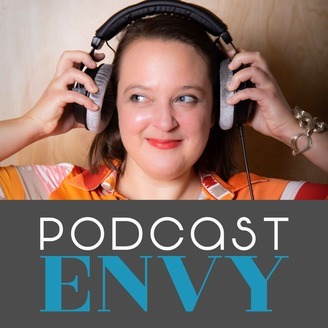 I want to help you develop and communicate YOUR STORY — the passion behind the podcast, the thing that makes your show unique and valuable to your listeners, and the secret ingredients that will help you feel successful and make your show the envy of everyone else. In Episode 034, I asked you, pleaded with you not to ghost your podcast listeners... and then this year, I disappeared for a while. Was I not following my own advice? Or did I have a legit reason? HINT: Sometimes you have to prioritize things over your own podcast. Join my Facebook Community where we create social support for content creators with inspiring prompts, opportunities for you to share your work, talk about money and more. 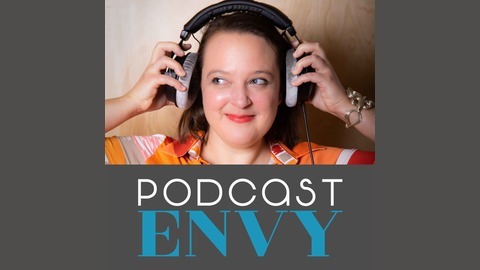 If you are thinking of starting your own podcast, consider doing it together with me and a few friends in the Podcast Envy Launch Pod starting late April 2019. If you already HAVE a podcast and are ready to grow in a meaningful way and make connections, consider the VIP Circle. Join me for Voice Training at Podfest in Orlando! Oh HEY! I'm on LinkedIn now... dropping pro podcasting tips, insights, and stories. Connect with me there and let me know you're a Creative Impostor listener. 038: Am I ready (or is my organization ready) to start a podcast?